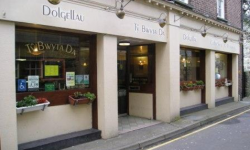 Welcome to the Dolgellau Coffee Shop situated in Dolgellau Town centre, Wales, United Kingdom. 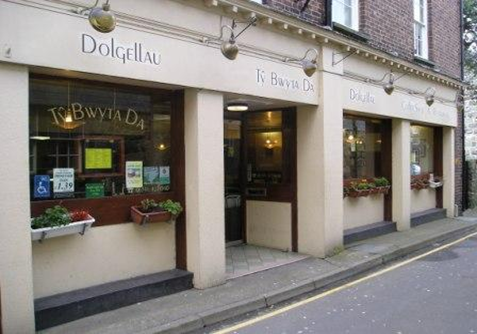 The Dolgellau Coffee Shop lies at the foot of the Cader Idris mountain range in the Snowdonia National Park. 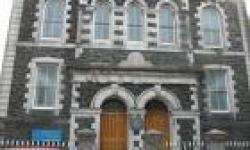 It is just 1 minute's walk from the main car park. Your hosts, Geoff and Pat Owen, provide a 100 seater Coffee Shop and restaurant, serving a varied menu of food and hot and cold drinks which includes a vegetarian and children's menu. This Coffee Shop is particularly noted for their famous 'All Day Breakfast' using only fresh produce and Danish bacon. 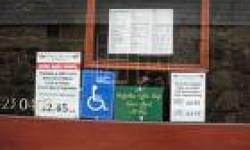 Following recent renovations, the Dolgellau Coffee Shop are proud to be able to offer special needs facilities including disabled toilets and wheelchair access. During the summer months, they also provide outdoor eating facilities. Geoff and Pat extend a warm welcome to old and young alike at the Dolgellau Coffee Shop, Wales, United Kingdom.